Orange Beach on 4th of July is brimming with firework spectaculars and parties. While we celebrate the birth of our country and independence, we also look at ways to celebrate with family and friends. Backyard burgers and fireworks are a must, but you can upgrade your experience with a sandy Orange Beach 4th of July and let the Gulf, sand and tropical drinks be your red, white and blue for the weekend. Even our Orange Beach resort will be hosting its own celebration. 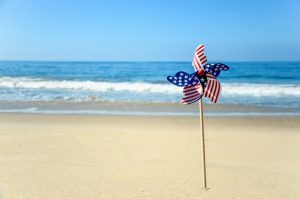 Here is a list of places along the Gulf Coast with Orange Beach 4th of July fireworks, celebrations, and more! Our Orange Beach resort will be hosting its very own 4th of July celebration at the Tip Tops! You’ll enjoy free live music and fireworks display at the end of the night. But when you upgrade to the Freedom Pass, you’ll get access to even more fun and excitement, including delicious All-American BBQ and unlimited access to all the fun. Family-friendly activities include a photo booth, rock wall, laser tag, a bungee trampoline, and a foam party! Freedom Passes start are $20 for kids ages 5-15 years old and $35 for adults. Kids ages 4 and under are free. Learn more about the J4 Celebration at Turquoise Place. 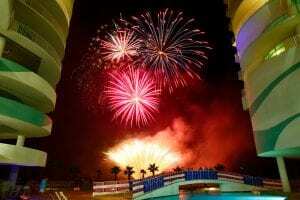 The Beach Club Resort & Spa has a week-long activity calendar chock-full of festivities, competitions and fireworks, of course, to celebrate the holiday. Guests can reserve a beach chair in advance for fantastic viewing of the 9 p.m. fireworks. Chair reservations must be made no later than Tuesday, July 3 at 6 p.m. and are $10 each. For the 2018 fireworks extravaganza, the show will take place from a barge. This will allow guests to remain on the beach for an evening of fun during the show! Celebrate 4th of July a day early at The Wharf at Orange Beach! On July 3rd, from 5 pm – 9 pm, enjoy giveaways, children activities, live entertainment, and much more at no cost for admission! At the end of the party, stick around for a fiery display of pyrotechnics as fireworks light up the night sky at 8:45 pm in celebration of Independence Day. Enjoy a dazzling fireworks spectacular from the Gulf State Park Fishing and Education Pier, thanks to the City of Gulf Shores this 4th of July. Grab a spot in Gulf State Park or Gulf Shores Public Beach for excitement and fun! Admission is free; just make sure you find the perfect spot to enjoy the view! Visiting the Gulf Coast this Independence Day? Reserve one of our Orange Beach vacation rentals! 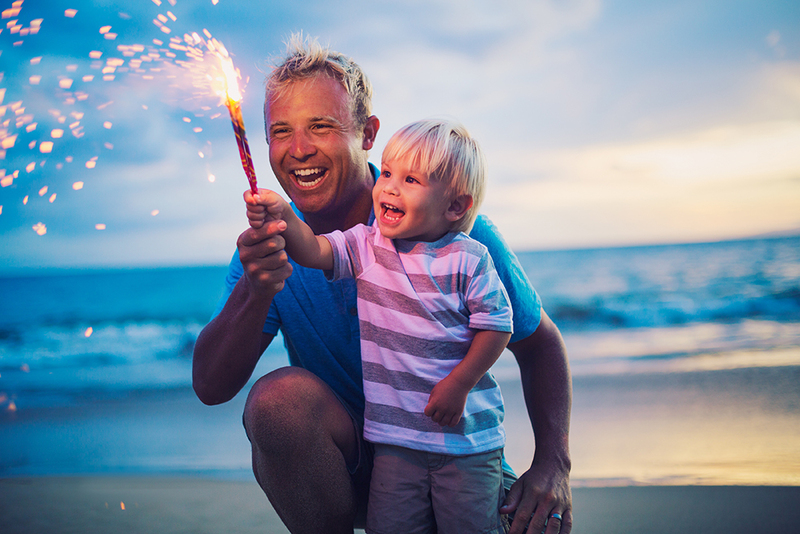 Enjoy these Fourth of July ideas and make the most of a Gulf Shores and Orange Beach vacation!